This introduction to the study of politics explores the multiple meanings of "governance" as well as the several senses of what it means to be a "subject." It takes the reader on a journey through and across the domains of law and institutions, markets and power, and culture and identity, and shows how the understanding of any one of these domains demands an understanding of them all. The path through these related regions is marked by regular encounters with leading and competing thinkers—from the expected, such as James Madison, Robert Dahl, Michel Foucault, and Adam Smith, to the unexpected, such as Joseph Raz, Lisa Disch, Doug Henwood, and Joan Scott—that encourage the reader to evaluate their arguments for their internal coherence and explanatory power. 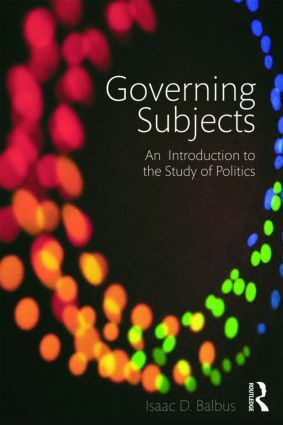 Governing Subjects is at once a holistic and critical introduction to the study of politics.